Is your home ready for the home inspection? Use these resources to make sure and that the inspection goes smoothly. We have a few suggestions TO HELP YOU prepare for the home inspection. Are you selling your home? 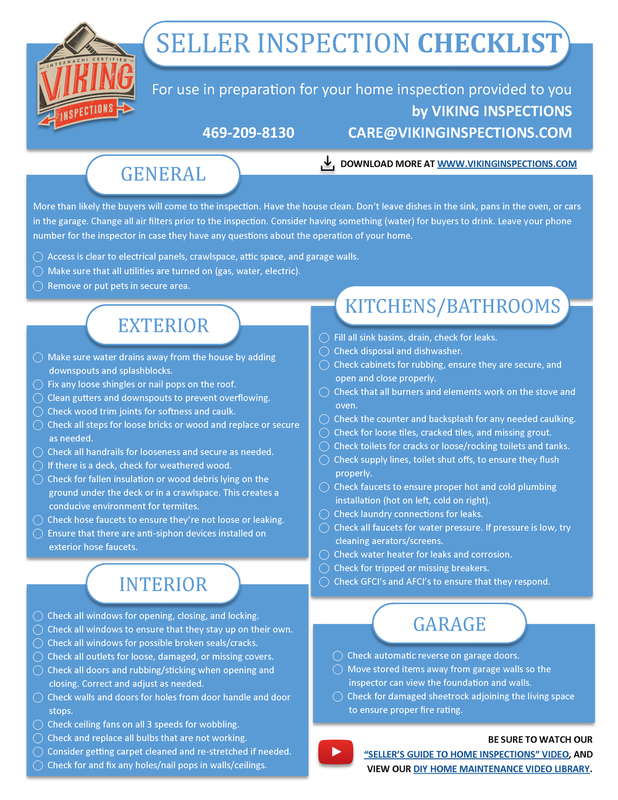 Use our inspection checklist to make sure you're ready and the inspection goes smoothly! Save money by making some of your own repairs using our DIY Video Library.